It is a challenge for developmental psychology to understand how an individual’s experience is interlaced in the construction of competence, for experience is at once constrained by existing competence and a means for enhancing competence. As competence is utilized in different contexts, some features of experience are retained and influence future deployment of competence. Moreover, it is through experience that the lines of cultural and personal distinctiveness are introduced into the universal patterns of human development. 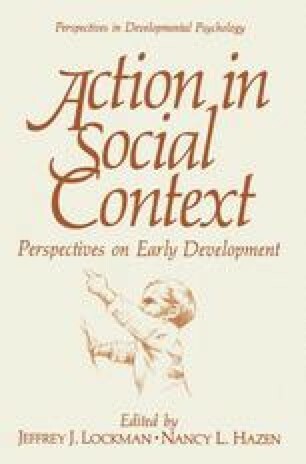 Our purpose here is not to discuss the different ways that the role of experience may be understood nor the biological and social contexts within which experience takes shape, but to examine the structure of one kind of experience common during the first year of life—imitative interaction.